I’m sure a lot of you have been on a regular Wrecks and Reefs itinerary. 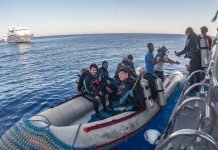 It’s been a favourite Northern Red Sea route for liveaboards now for well over ten years, probably more like twenty truth be told. Why? because it works that’s why. 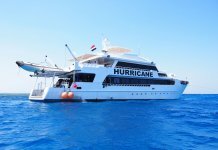 It delivers the best combination for experiencing the Northern Red Sea that is logistically possible, and is a great compromise for those groups of people that have mixed desires for what they want from a dive trip. A whistlestop tour around the stand out dives of the North. Ras Mohammed, Tiran, the Thistlegorm, the Wrecks at Abu Nuhas, a bit of everything for everyone. Something for those with a lust for rust and those that have a craving for coral. However it’s now time to mix things up a bit with a brand new itinerary, especially for people who’d like to take things a bit slower. A new type of dive trip with the emphasis on slowing things down, and taking things at your pace. So why do I want to tinker with the itinerary? because a change is as good as a rest or so the saying goes, and to be honest on my photo trips I’ve been tinkering with the routes anyway to very positive feedback, and now have a pretty good idea of what different options work well. A very rewarding, but more relaxing and slower paced alternative to the more usual route. So we wanted to launch a brand new alternative to the Northern Red Sea Wrecks and Reefs and we are calling it Red Sea Relaxed. With the same amount of dives available but at fewer locations, allowing you to see the best sites at different times of the day, this works brilliantly for photographers but is also proving to be a big hit with people that prefer to take things easier and with less rushing about. I will be onboard to help and advise with not only the photography but also interesting things to spot, and ways to dive the sites that will give you great variety. 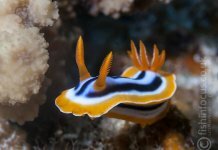 I have been conducting worldwide photo workshops for Scuba Travel as their in house Photo Specialist for four years now, with the majority of them to the Red Sea. And after living and working there for five years in the late 90’s it feels like my second home, and I love the country and it’s people. Because of this i’ve got great relationships with the crews and guides, enough that they afford me loads of freedom and flexibilities, which is why I bend and twist the usual itineraries to the benefit of all my photo workshoppers. More than once though I’ve had regular divers come along on the trips as buddies and partners of the photographers, and they are pleasantly surprised at the flexibility and freedom that our photo style of diving gives, and have now become repeat bookers. 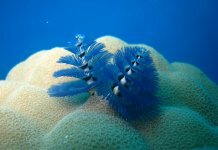 So this May 21st and June 11th I am planning to roll out the very first Red Sea Relaxed itineraries borne out of what has worked for me and my regular photo trippers over the last few years, but should prove to be a great alternative for those wanting something a little different from the regular Red Sea itinerary. The Northern Red Sea has never looked as bountiful as it has in the last couple of years. 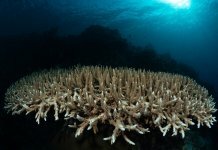 With thriving hard and soft corals teeming with marine life. In the future we plan on doing this route year round, and I’ve been doing something similar in the winter months for our photo workshoppers already on the Winter Warmer itineraries . However I wanted to make my first Red Sea Relaxed during the summer months. The Northern Red Sea in June ramps up the fish count, particularly in the areas of Ras Mohammed and Tiran, with large schools of fish from the Batfish and Snappers at Shark Reef and clouds of Anthias and smaller schooling fish up in Tiran, and you will see a greater abundance of marine life everywhere in the summer with wrecks like the Thistlegorm covered in swarms of Fusiliers being chased by Trevallies with languid Batfish hanging out in the blue. Which is why it becomes a bit of a mecca for underwater photographers, but a lot of us want the same thing cameras or not, which is to see lots of fish. What will be the Itinerary? Day One I plan on departing from Sharm or Hurghada and after the check dive go straight to the Barge at Gubal Island, for dive two and then the night dive. If we can’t make the crossing we have a special dive at the Alternatives and not in the books, used previously for filming by the BBC, that only a few of us do. And then a night dive here. If we leave from Hurghada and the crossing is out then we will stay at Dolphin House, it’s a win win either way. This trip will always have a great option if we can’t make our plan because of the weather, with even the backup sites spectacular. This is a shot from a little dived site, popular with the BBC for filming, because of it’s relatively minimal diver impact. Day Two This is when we start with our “Open Deck” policy which will give you the freedom to dive when you want across the day. So no rigid dive times, and from 0530 until 1930 you’ll have four dives to use, all you need to do is make sure you know the mealtimes, observe safe diving practices, co-ordinate with your buddy, put your names on the board and go diving. If you wan’t to stay longer than an hour that’s ok just let the guides know. The Barge is the perfect dive site for this, and on our Winter Warmer trips we often stay here three days. See why we love The Barge so much and why it’s worth more than a passing glance and please click here. The night dive here is considered one of the best you’ll do in the Red Sea. 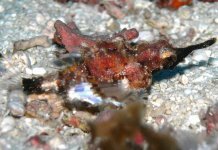 The Barge has become a mecca for marine life and divers, it is shallow with good light all day round, and has a huge density of fish, and all kinds of marine life. Day Three Our first dive will be at the 19th century wreck of the Ulysses around the corner from The Barge, but as we will be moored until after breakfast, if you don’t want to dive her you can always get in and dive the Barge for a last time, this time is a great time for seeing dolphins and we regularly see them here and at the Ulysses at this time of the day. Our second dive we will try and dive the Kingston, another crowd pleasing wreck but weather dependant. For both lovers of historical rust and reef lovers, it’s always a hit. If the wind and waves are against us then we will head straight to the Thistlegorm for this dive, our third dive and the night dive. Another place where we can give you the freedom to dive when you want for the dives here, once you’ve orientated yourself. 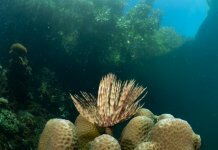 The lack of diving at the Thistlegorm has really sparked an increase in the growth of hard and soft corals and also the amount of schooling fish there. This has meant that for the last few trips I’ve dived on her, we’ve had the place to ourselves mostly. Day Four We will either start with an early morning Thistlegorm, or head directly to Shark Reef and hope for some schooling fish action, with the Snappers, Batfish and Barracudas. If it’s happening here we will stay for the day picking our dive times to avoid the other dive boats where possible. 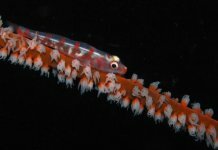 If the schools aren’t playing then I will show you a dive site not in the guide books but between Anemone City and Shark Observatory, with caves and very pretty overhangs packed with fish, and then Ras Zatar for more of the same. After dive three we will head straight up to Tiran and get settled for the evening at Gordon Reef. In the summer this should allow us to choose to do a dusk dive, and for the photographers is a great opportunity to do sunset split shots. Alternatively you’ll be able to dive a regular night dive here. I’ve selected our alternative dive sites very carefully, they are rarely dived how I dive them, and they have some awesome spots to see the Red Sea at it’s best. We have Ras Zatar at the top, and a beautiful little overhang in the shallows off the wall between Shark Observatory and Anemone City, most divers miss it and go straight past. Day Five We will either start the day diving Ras Ghamilla, rarely dived from liveaboards but an awesome first dive with huge fan corals. 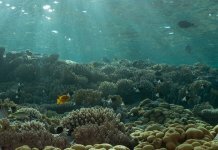 Or alternatively Thomas Reef drifting around the east side, with more fan coral and soft coral action. Our second dive could either be the back side of Woodhouse normally off limits to daily boats, as usually its only accessible by rib, very dramatic and not a bad place to see sharks, or straight to Jackson, and dive when the daily boats are lunching. Then we will wait for the daily boats to leave and visit Jackson and the incredible coral garden famous for turtles and just chocker with all kinds of fish, a truly beautiful place. And then a night dive and chill out at Laguna. The video below was shot at Jackson a couple of years ago now, if anything the fish life has increased since then! * If we have departed from Hurghada then we will be making the crossing over to the Hurghada side at some point during this day, to be discussed on the fly with the skipper and taking in the local conditions. Last Day Our first dive will be an early morning dive at Jackson Reef so that you can witness it in completely different light, or there will also be the option to dive the back side by rib,as early morning in the summer is a great time to see Hammerheads. Your choice. Our second dive heading back I’d like to show you some of my favourite local sites. These will be two out of either Ras Nusrani, or a special half drift in the Gardens, and finishing with a drift at Ras Um Sid, or Temple for those that want to drop in off the back of the boat. *If we have made our crossing to get back to Hurghada we will pick some great local sites, and more than likely end with the opportunity too snorkel with the resident pod of Dolphins at Dolphin House, before returning to port. It’s been great being able to mould a new itinerary that allows you the diver to enjoy a slower pace of doing things. Repeating dives at the same place and enjoying the freedom to get in when you want is a very relaxed way to have a diving holiday. “Not at all, it’s a great trip if you like freedom and slow relaxed diving, it just so happens that photographers like this too, but if you have a camera and you’d like some help and advice, then I will be there to help you. GoPro, Compact, Mirrorless or DSLR I will be on hand to give you a hand with your photography or photo editing between dives. What about diving from Ribs? “We try and avoid diving from the Zodiacs where possible, but for some dive sites it’s a necessary evil. For our “Open Deck” sites we moor up at a great site, and once briefed on the rules, you will be able to dive within reason, when you like to and from the back of the boat. Sometimes we will do a half drift from the big boat, depending on location, and get picked up by the Rib. Or the rib will drop you off up current and you can drift back to the big boat. “Open Deck” is something I implemented a couple of years ago in conjunction with one of my dive guide friends Reda, on the Tornado Marine fleet boats. At certain dive sites like The Barge and also at the Thistlegorm,and once you’re initially briefed we stay for the day or longer and you get to dive when you want. So from about 0530 until 1930 in the evening you have the usual four dives, but the timings are up to you and your buddy. This means that if you time things cleverly you may well end up getting the dive site to yourself, or at least not be in the same places as the other divers. In certain circumstances, and as long as you have the relevant Solo or Self Reliant qualifications and kit, Tornado Marine will even allow you to dive alone at these sites. This of course has been very popular with photographers, but is lovely if you just want a bit of peace and quiet to get your head together. You can also choose to dive longer than the usual 60mins bearing in mind that you’ll need to tell the guides what you’re planning, and that you might miss a meal and will need to keep an eye on your surface intervals if you’re going to use all your four dives. 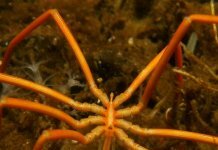 A lot of people opt for two lazy long shallow day dives rather than the usual three and then just do a night or dusk dive. It’s up to you. You may want to take a guided dive rather than go it alone,and this is also possible at any time, you just need to ask. Meal times will be written on the board, and it’s up to you if you decide to dive and miss one, its not fair on the galley crew to chop and change the mealtimes for each and every individual. A lot of people think that parking in one spot makes for an easier life for the crew, on the contrary their usual clockwork routine from a Wrecks and Reefs trip is thrown out of the porthole and they work even harder so that you can have an easier time. Just filling the tanks sporadically rather than all in one go as per usual, puts extra strain on the deck crews. The sailors also have to be alert all day, as occasionally people don’t make their way back to the boats and have to be picked up by the ribs, so I’m very grateful they’ve allowed me these freedoms over the years. And now we’ve proven it can work it’s time to roll it out to a wider audience. We are anticipating their popularity and there will be no last minute discounts. It’s ideal for photographers and those who want a little bit extra from a Red Sea itinerary in comfort and relaxation. We know you’ll like them. Please click here to book either of these trips.